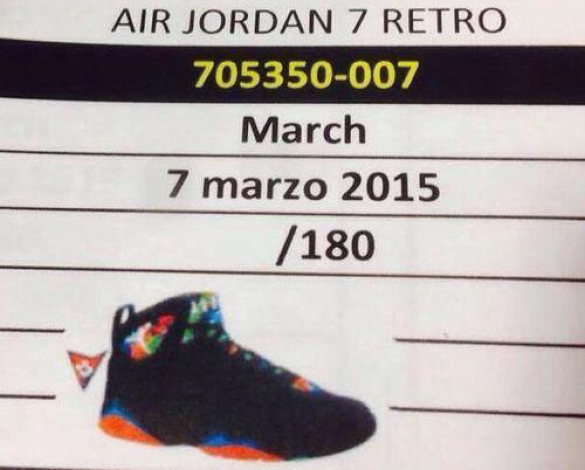 Last year there was a record number of Air Jordan Retros that released, but 2015 looks to topple that. Not even an entire month into the new year and there have already been a handful of pairs out with a steady release stream scheduled from now thru December. 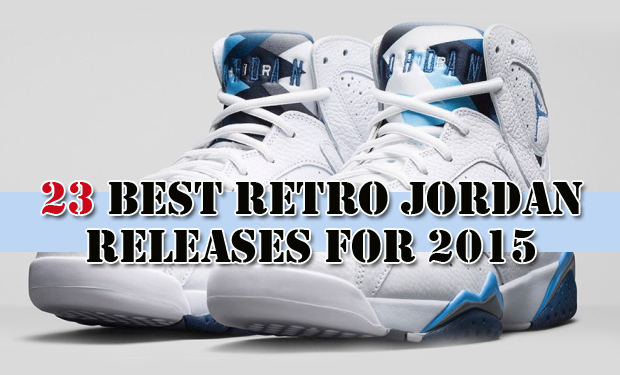 That is a lot for anyone to keep up with…so we put 23 of the better 2015 Air Jordan releases in this list ahead of time. This way if you really like a pair you know about it with enough time in advance to make plans (because they will be needed) to get yourself a pair. NOTE: only a few of the sneakers seen on this list have been officially announced by Jordan Brand, but every pair featured has enough info to support being here. 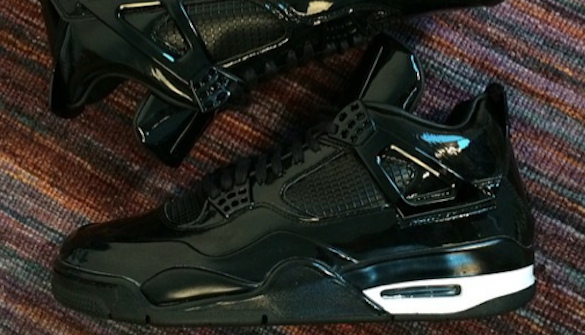 With the matte “dipped” treatment exploding in 2014 it will be interesting to see how a shiny black Jordan 4 sells; mostly likely very well. When pictures of this shoe first started popping up online, many questioned whether it would be available in adult sizes as GS (gradeschool) pairs were the only ones shown. And then images of bigger sizes started making their way around the internet making it OK for card-swiping grownups to look forward to. 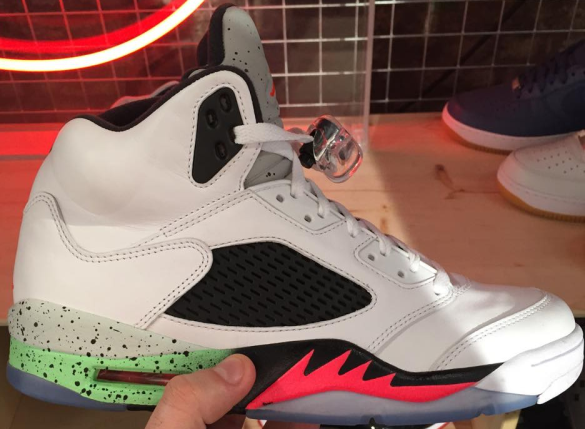 This unnamed colorway of the Jordan 5 has popped up a few places recently. The very clean upper is thrown off by the midsole coloring which looks like the traditional Fire Red and Air Command Force. 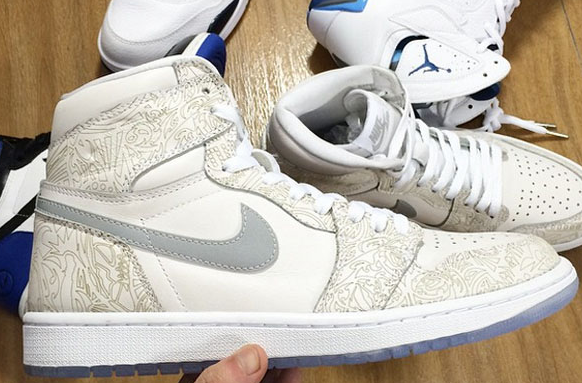 2015 is the 30th anniversary of the Air Jordan, so in celebration Jordan Brand updated the laser print seen on the Air Jordan 20 (which came out in 2005, the 20th anniversary) and put it on this all hightop Jordan 1. 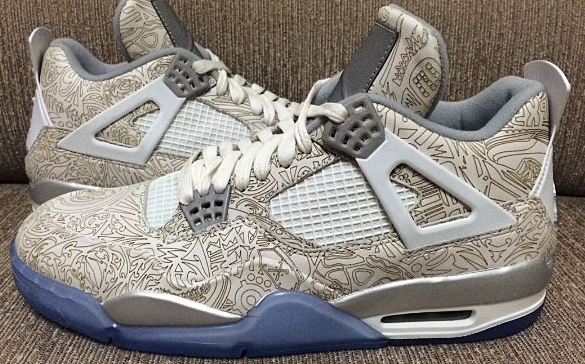 This new Jordan 4 colorway popped up on the internet early in 2014, it will be interesting to see how well received it is. 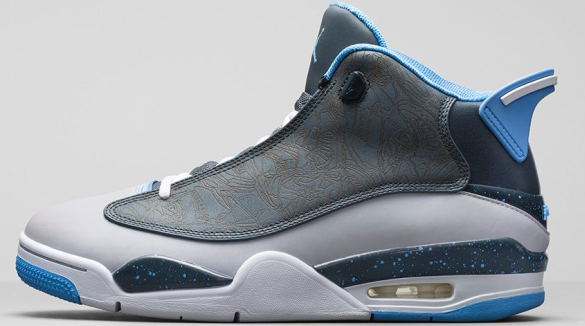 With the return of the Jordan laser print that debuted on the 20th anniversary, it is only right to put the updated print on the Jordan 20; the shoe that first featured it back in 2005. While not yet officially announced, this release is all but confirmed thanks to Jordan Brand athlete Richard Hamilton posting this exact picture on one of his social media feeds. Don C, who is most known for upgrading the snapback fitted cap (word to Rick Ross) with a strap and snakeskin, has been rumored to work on a pair of Air Jordans ever since Kanye West officially left Nike. Coincidence? 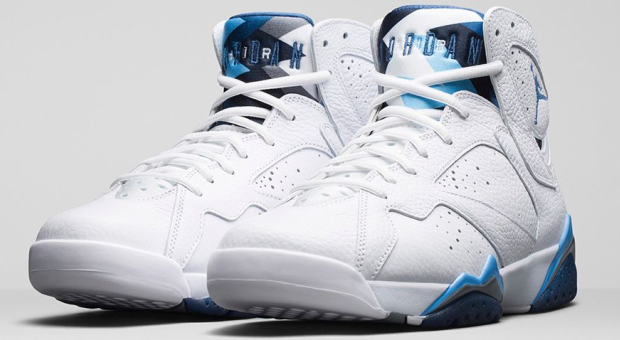 The popular ‘French Blue’ Jordan 7 from 2002 makes its return this year featuring the Remastered edition construction with forward-facing Jumpman logos. 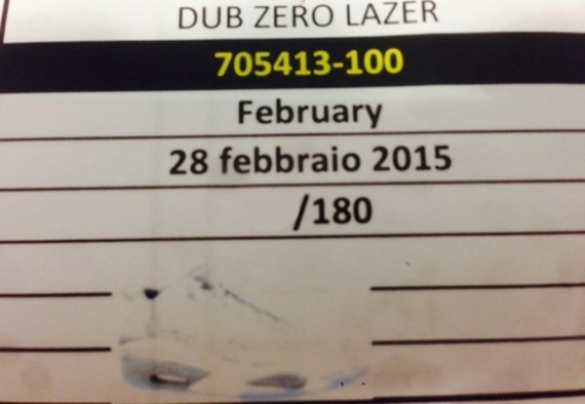 Even though the Dub-Zero was never worn on-court by Michael Jordan, the fact that they are being re-released technically makes these qualify for the Retro label. 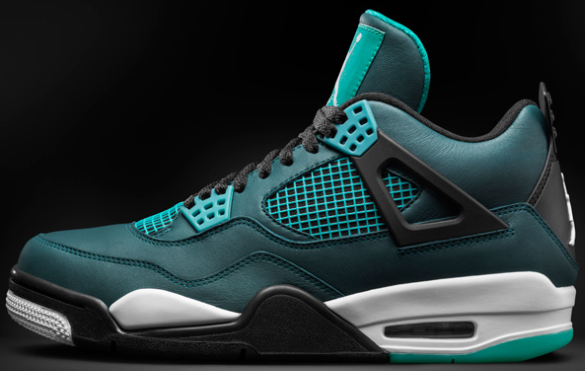 Last year we saw the Jordan Spiz-ike come back out in a colorway from the original release, but before that was on the extremely short list of acceptable Jordan hybrids, there was the Dub-Zero. 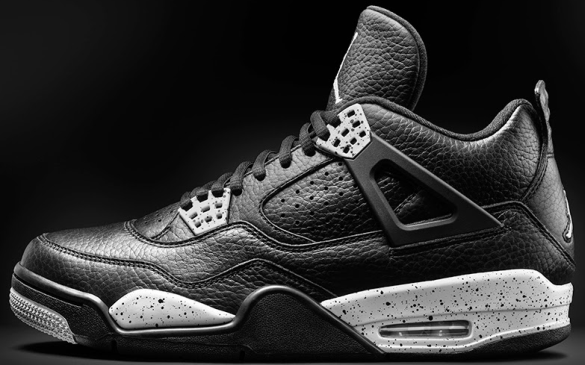 Following in the 30th anniversary rollout, the Jordan 4 looks to be the best. 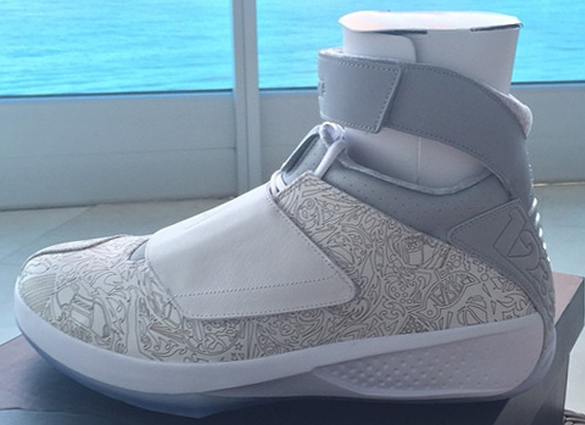 The reflective tab on the tongue sets it off. With the only sample pictures available to me being extra EXTRA grainy and distorted, I used one from the 2002 release but please believe the clear bottom panels will have a blue tint like all the current Jordans with icey soles. 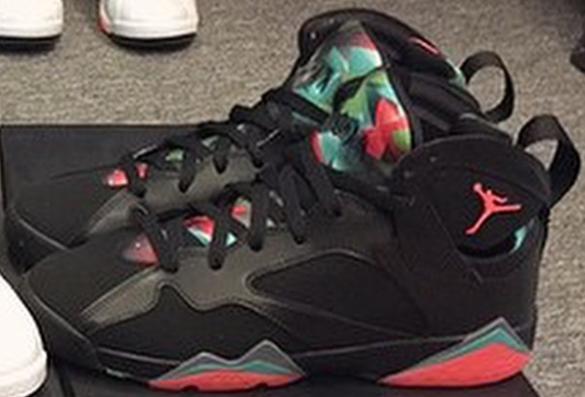 Jordan Brand has printed up full Air Jordan sets in colorways for special displays and things like that, so when I first started hearing that a Georgetown colorway was coming out I was skeptical. 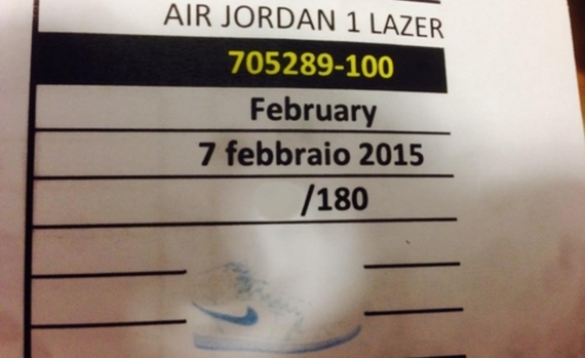 Now this lowtop Jordan 11 has all ut been officially announced; look for these to come out in the summer. 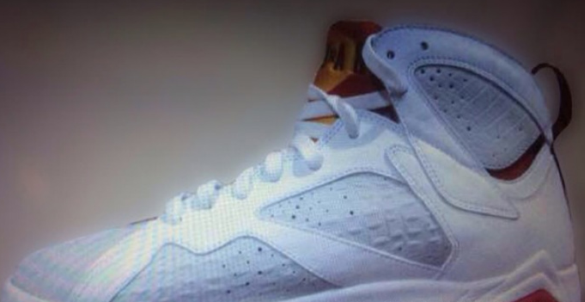 While it is good to see the ‘Hare’ colorway of the Jordan 7 return, the upper material on the Light Silver part looks to be of some type of reptilian build now. Am looking forward to seeing this in person before passing judgement. 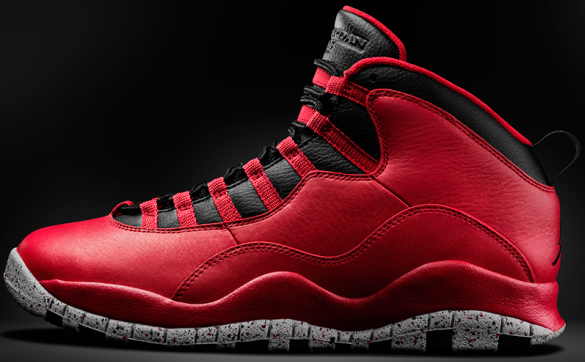 2015 will feel like the year of the Jordan 10 early on with a consistent stream of colorways releasing in the first quarter of the year. 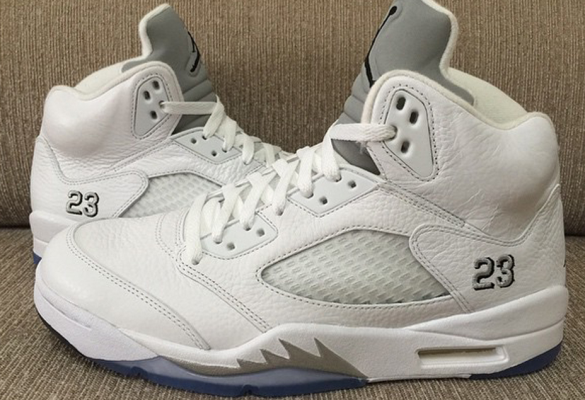 With the Black/Metallic Silver colorway getting the Retro treatment a few times since the white one did in 2000, in the spirit of equality it’s fitting this Jordan 5 comes back out after a decade and a half. 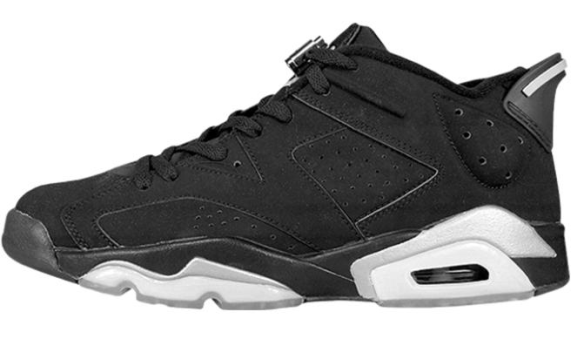 The first of the Remastered series of Air Jordan Retros to release in 2015, these are said to be built with better materials than previous years since the upper is constructed out of a single piece. 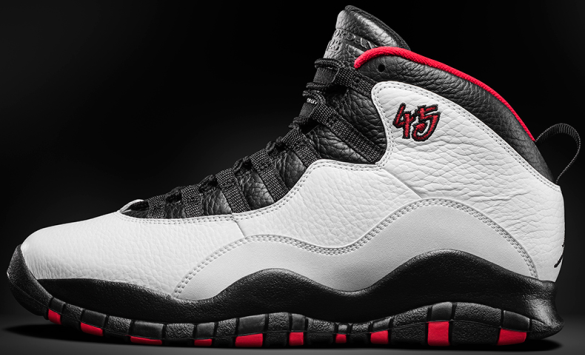 After seeing samples of a few different Jordans with 45 printed, this March will be the first time anything with MJ’s post-baseball retirement number. 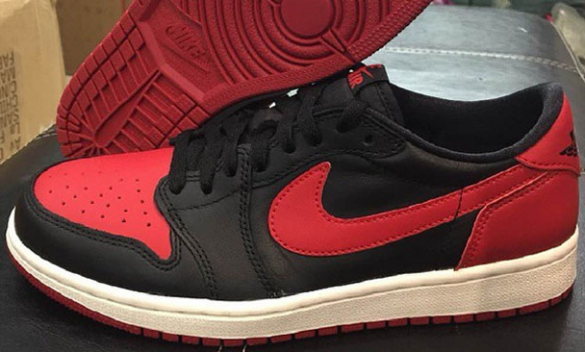 After the Air Jordan 1 High OG did so well in 2014, bringing back a more original Jordan 1 Low shape with the Nike Air tag on the tongue was a natural progression. 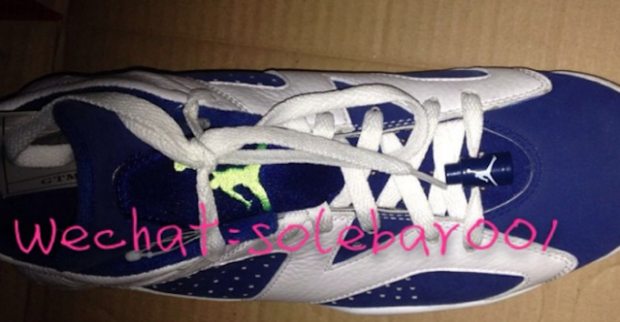 I can’t say with confidence exactly how this specific Jordan 11 Low coming out this year looks after seeing samples with the same three colors paneled in different ways. 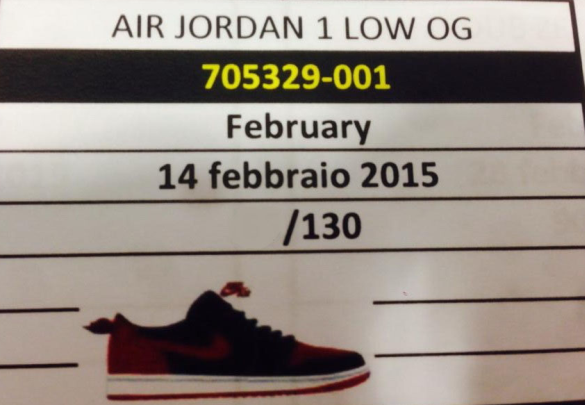 Supposedly will look like a black/red Jordan 11 but the lining might be different than the full-height version and blah blah blah. We should know more in May. After the Bobcats were re-rebranded as the Charlotte Hornets at the start of the 2014-15 NBA season, Michael Jordan spent a day making content for the Hornets different social media accounts. 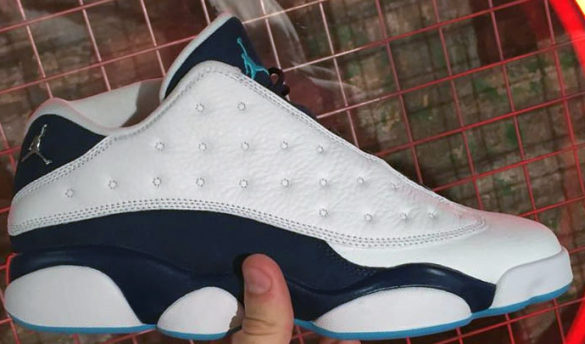 He wore a full height Jordan 13 with this same colorblocking, but since we all want to be like Mike, we get lowtops in 2015. 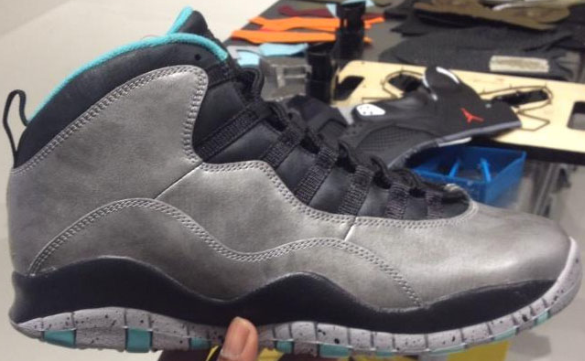 Following in the path paved by the Jordan 6 in February last year, instead of releasing a black colorway Jordan Brand brings out a red Air Jordan for All-Star Weekend (just a Jordan 10 this time). 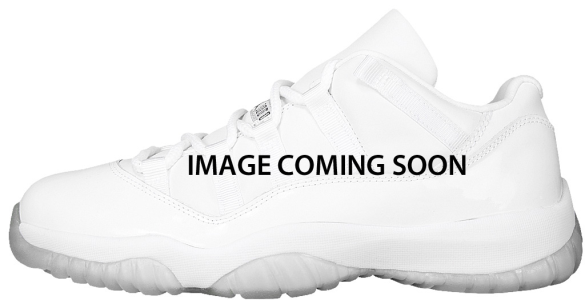 Since 2008, a Jordan 11 has come out in December very close to Christmas and I don’t see this year being any different. 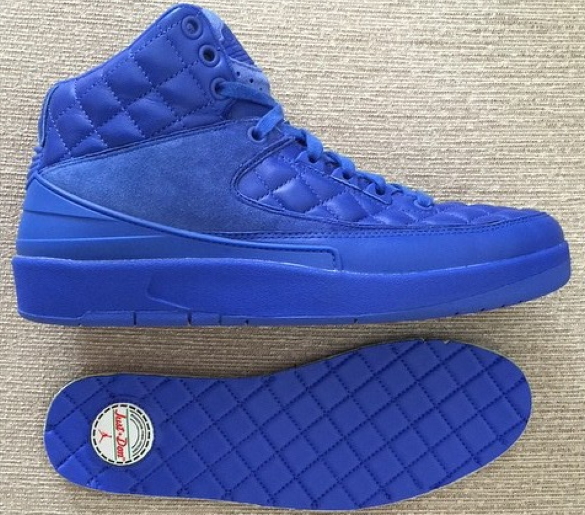 Haven’t heard enough about this release to confidently put up a picture or suggest a colorway. 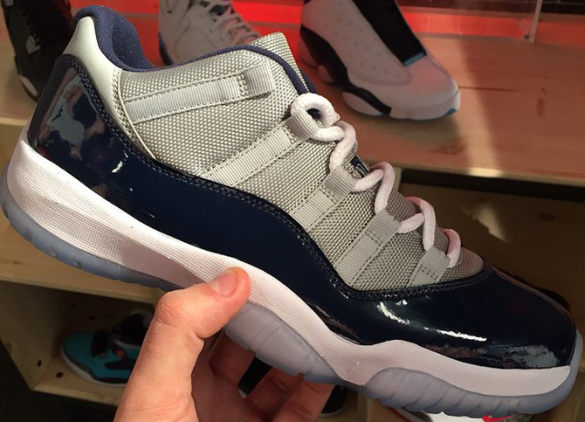 I’m going with 2015 being the end (or pause) in the Jordan 11 in December trend. 2008 was the Air Jordan XX3 (23!) 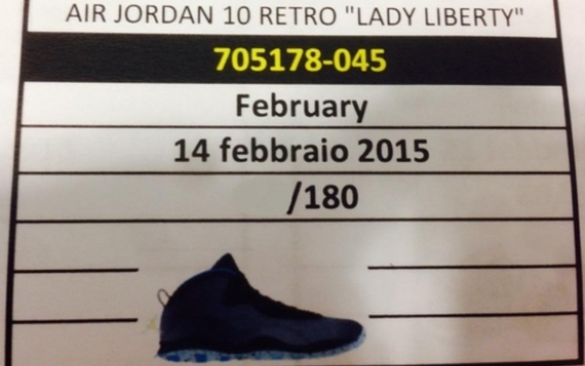 came out as well as the first year a Jordan 11 released in December with the Countdown Package sets.